EmulationStation (2018/02/04) is released. EmulationStation is a graphical and themeable emulator front-end that allows you to access all your favorite games in one place, even without a keyboard! A built-in, graphical scraper system. No more using an external Python script. Automatically download full names, box art, descriptions, release dates, and optionally ratings. You can scrape several systems at once, or just individual games. A built-in, graphical metadata editor. No more editing XML files by hand. Press the “Select” button in the game list and choose “EDIT THIS GAME’S METADATA” to open it. You can scrape metadata from the editor, too. The old theming system has been completely replaced. The new system is more flexible, but still simple, and much more consistent. There’s an tag now! No more defining fonts/sounds by hand across 30 systems! Textlists support left, center, and right alignments, as well as horizontal margins. You can also control line spacing. Images can now be in SVG format (vector graphics), so they look good at any resolution. You can now add static text wherever you want. Themes are now distributed as sets. You can change the current set within EmulationStation itself, without even restarting the program. Read THEMES.md for examples and more information! A new “System Select” screen, featuring the logos for all your systems in a carousel. Themable, of course. A new set of themes done by Nils, for every platform RetroPie supports and more! Each system has a beautiful vector logo! The old menu (when you press “start”) has been completely redone, in both functionality and style. Along with pretty much every piece of UI. The input configuration system has been revamped. In addition to looking much nicer, it is now easy to add new controllers after the initial configuration: just select “CONFIGURE INPUT” from the main menu. An on-screen help system, that shows what buttons do what things. Toggle left/right changing the system in the game list view (forcing you to use the new system select carousel); useful for those with analog sticks. When scrolling in really long game lists, after a few seconds, the screen will dim and display the first 2 letters of where the cursor is, Steam Big Picture style. Gamelist.xmls now support relative paths, so it should be possible to transfer them between computers and make portable installations. EmulationStation no longer closes immediately if you launch it without es_systems.cfg set up properly. It now shows an in-program message box explaining the error. Upgraded from SDL1.2 to SDL2 with the Raspberry Pi video driver. No more “white dot” when ES is starting. es_systems.cfg is now in XML, to be consistent with every other configuration file. 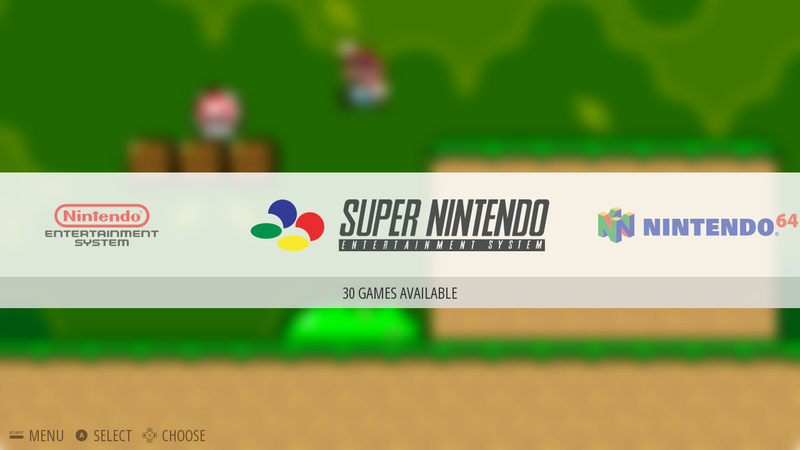 An actual website: http://www.emulationstation.org. Huge thanks to Nils for design suggestions/tweaks, as usual. It includes a detailed “Getting Started” page.